Wiko Lenny 3 Max is more or less like the Wiko Lenny 3 boosted with more battery capacity. With a 4900 mAh battery, the Wiko Lenny 3 Max offers more than two times the battery capacity of the Lenny 3 and more than 2.5 times the talktime. The smartphone also offers twice the RAM, which should improve performance. The Wiko Lenny 3 came with a 2000 mAh battery, which offered up to 12.5 hours talktime, its battery boosted descendant is offering up to 30 hours talktime with its massive 4900 mAh. This is the same battery capacity as the Wiko Jerry Max. Wiko Lenny 3 Max is also getting more memory with the RAM boosted from 1GB to 2GB. It is loaded with Android 6.0 (Marshmallow) with a 1.3GHz quad-core processor. The 5.0-inch IPS display offers 720 x 1280 pixels resolution. The entire front of the phone is covered in 2.5D curved glass. Wiko Lenny 3 Max has an 8 megapixels camera on the back with LED flash, autofocus, and HDR. The front camera offers 5 megapixels with display flash for selfies. You also get 16GB built-in storage with support for up to 64GB memory card. Wiko Lenny 3 Max is not yet available in Nigeria, Ghana, or Kenya. When available, you can buy the Android phone at leading online stores in the countries. 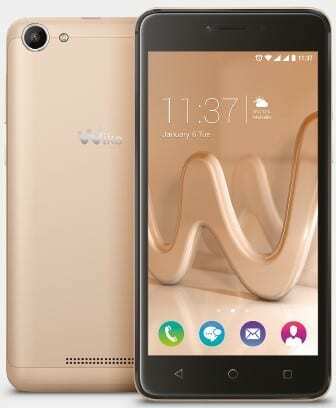 Wiko Lenny 3 Max price in Nigeria is expected to range from 35,000 Naira to 55,000 Naira. Price in Ghana should start at around GH₵ 499. Wiko Lenny 3 Max Price in Kenya is expected at around 14,500 KSh.